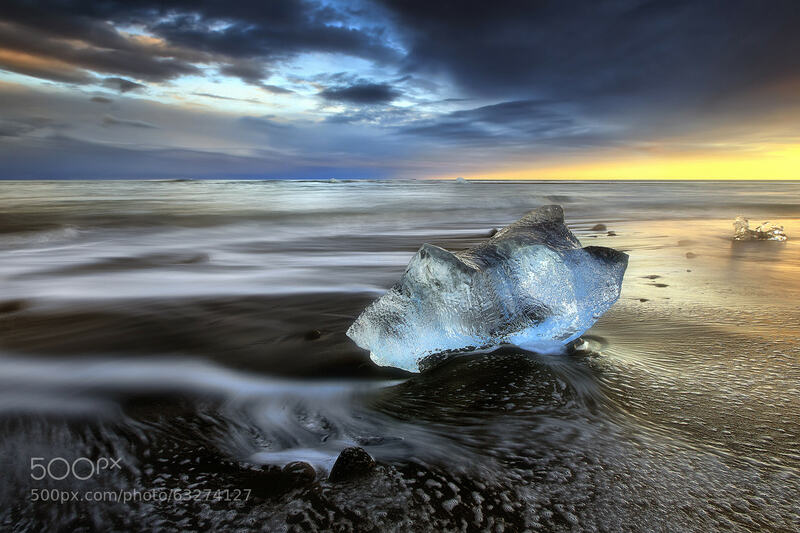 The photo depicts glacier ice marooned on Jokulsarlon Beach in Iceland. Lim shoots with a Canon 5D using a set of 5 lenses: 16-35mm, 17-40mm, 15mm FE, 20mm 2.8, and a 70-200mm. He also uses LEE and Singh-Ray filters in his landscape photography.